Investing Advice And InformationEarningsHow I Made the Forbes Billionaire Issue! How I Made the Forbes Billionaire Issue! First, I want to make a confession: I indeed may qualify to be in the top 1% of American income earners, but my net worth is modest by billionaire standards. I probably could be much wealthier if I stopped teaching and writing books, and devoted more time to business and money-making. But my interests are much broader than purely materialistic goals. My goals are to have a good relationship with my wife and family, my friends and colleagues. I like to write about investments and attend conferences to help people become better investors. I like to teach college students about sound economics and influence them to make good decisions in their lives. I believe in charitable work. And last but not least, I want to devote time and effort to keep my country free and to make a contribution to the freedom movement. I believe that money opens the doors to many opportunities, and gives me the free time to accomplish my non-material goals. We have a fascination with the 2,043 billionaires on this Earth, as recorded in the latest issue of Forbes. 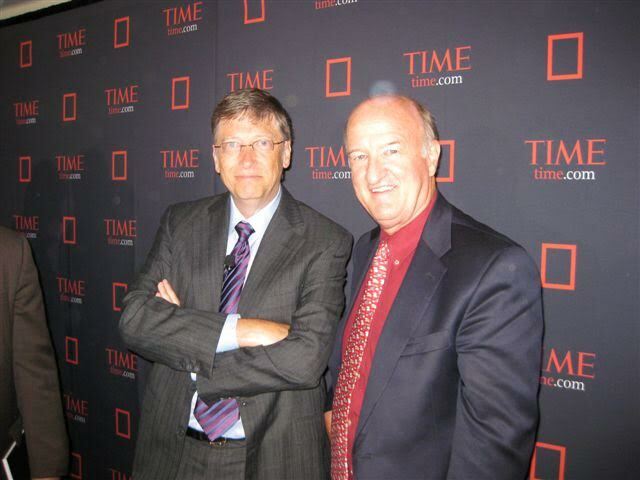 I’ve personally met with a dozen or more billionaires, including Bill Gates (see my photo with him below), Warren Buffett and Charles Koch. In the 1990s, I was a Forbes columnist and once wrote a column on “how to avoid the Forbes 400 list.” But few escape the Forbes investigators. Once I interviewed David Rockefeller, who until his death on March 20 was the oldest living billionaire at age 101, and a grandson to the famous John D. Rockefeller (See photo below.) We met at Room 5600 at the NBC Studios building in Rockefeller Center. He had the largest Rolodex in the world with some 15,000 contacts. Rockefeller was one of the few people to make the Forbes 400 Richest People in America list since its inception in 1982. Despite onerous taxes, a declining industry (banking) and ever-expanding heirs, he was able to survive with a net worth of $3.3 billion at the time of his death last week. He was an unassuming man who, in the 1950s, took the subway to work. He made his share of mistakes, including making billions of dollars in bad loans to third-world countries and developing a cozy relationship with the Chinese during the Anti-Cultural Revolution. John D. Rockefeller used to be the wealthiest man in the world. But a century later, only his grandson, David Rockefeller, makes the list. The rest of the Rockefellers, while wealthy, are struggling to stay wealthy, due to taxation, substandard investments and an increasing number of heirs. 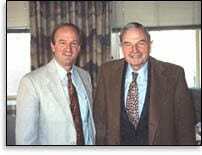 If David Rockefeller had simply invested his wealth in a stock index fund, he would have been worth billions more than he is today. It is not easy to stay wealthy. In his bestseller, “Capital in the 21st Century,” French economist Thomas Piketty contended, “Once a fortune is established, the capital grows according to a dynamic of its own, and it can continue to grow at a rapid pace for decades simply because of its size.” Really? To prove his point, he selects members of the Forbes billionaires list to show that wealth always grows faster than the money of an average income earner. He repeatedly refers to the growing fortunes of Bill Gates in the United States and Liliane Bettencourt, heiress of L’Oreal, the cosmetics firm. But Gates and Bettencourt are exceptions. Dozens of wealthy people have lost their fortunes and fallen off the list of billionaires, such as the Vanderbilts, or, to use a recent example, Eike Batista, the Brazilian businessman who just four years ago was the seventh-wealthiest man in the world, worth $30 billion. Now, Batista is almost bankrupt. Hundreds of wealthy Americans have been dropped from the Forbes 400 Richest list since inception. I have all the back issues of the Forbes Richest People in America. The 2015 issue is my most cherished, since it has Donald Trump on the cover and Charles Koch on the second cover page. It is personally autographed by Donald Trump, Charles Koch and Steve Forbes. That should make quite a collectible! So how did I make the latest billionaire issue? Here’s a reproduction of page 119: https://drive.google.com/file/d/0BwODMC7RAeoYdjlaMTNlOHRDclk/view. In case you missed it, I encourage you to read my e-letter from last week about how you can make your local government better by taking the A&W pledge. Beware of Man-Made Light Pollution? My family and I went to Bryce Canyon in Utah last week during spring break. It has to be the most gorgeous display of nature on Earth, and I recommend you go there the next time you visit the Grand Canyon or other national park in the southwestern United States. Exclusive ‘Buy’ When There’s Blood… on the Pyramids? ; Wal-Mart Misses Q2 Analysts’ Estimates; Housing Recovery? What Housing Recovery? Really? My initial reaction was this is another example of environmentalism gone crazy, trying to make us feel guilty about one of the major benefits of modern society: man-made light. Surely the invention of artificial light is a positive sign of industrial progress. Electricity and artificial light have been a boon to the entire world, increasing dramatically our standard of living, changing how we live, work and enjoy life, while reducing crime. If you look at a dark map of the world, you will see the most advanced countries lit up. The countries that are dark at night are backward socialist nations like North Korea. Granted, skyglow is a problem if you want to go stargazing. There’s even an International Dark-Sky Association run by an astronomer, and dozens of national and international parks have adopted their “dark sky” policy. Where are they located? Certainly not Las Vegas! How about North Korea? Actually they are located in Tucson, Arizona, a major metropolitan city. Exchange-traded fund (ETF) investment expert Jim Woods discusses a hedged European fund.